The Motorola Charm is a smartphone manufactured by Motorola. It was released exclusively to U.S. carrier T-Mobile, and Canadian carrier Telus. 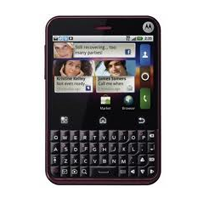 The Motorola Charm is the second Motorola Android phone to feature the updated Motoblur UI for Android 2.1.The Charm's key features are its front-facing QWERTY keyboard, 2.8 inch 320 x 240 touchscreen, 3 megapixel camera with digital zoom, touchpad on rear of phone, and Android HTML WebKit/Flash Lite web browser. 3) When you first start the program it will ask you for a login and PIN devices. PIN could be defined on this website during defining the device (Spysat/Configure - button under the map). Remember that entered PIN on the website must be exactly the same as PIN entered in the setup program on your Motorola Charm. How often location data are sent to the spysat server ? How to define new tracking device in spysat ? Can I use spysat to protect my child and know their location? What is "share with friends" and setting tracking my devices to be "public" ? How to donate SpySat for maintenance and further development ?